Wixom-based embedded computing solutions company Acromag has announced a strategic partnership with California-based Ctek Inc. to offer complete monitoring and control solutions for customers to manage its remote assets. 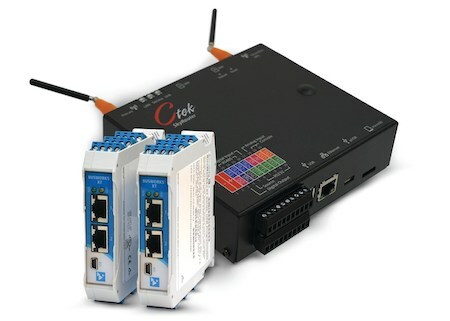 Combining Acromag’s range of signal measurement and conditioning products with Ctek’s cellular communication and autonomous controllers provides a distributed control system without the difficulties of integration. Users can deploy these systems without programming to connect endpoints to the enterprise, enabling visual access to operation status from anywhere and menu-based configuration speeds setup of data collection, reporting, and alarm functions. “With this joint solution from Acromag and Ctek, customers can reliably monitor and control remote automation equipment without the hassles of PLC programming or IT networking issues,” says Robert Greenfield, Acromag’s business development manager. The integrated Acromag/Ctek system is ideal for remotely monitoring and controlling the operation of pumps, motors, tanks, meters, generators, batteries, valves, fans, heaters, and other industrial equipment. Users can also set up data displays, alarm rules, and data logging and process control logic routines with point-and-click application development.